A popular tackle shop and its customers have helped recycle 500,000 metres of disused fishing line in just 10 months. Johnson Ross Tackle, a family-run business in Hoddesden, Herts, smashed the ‘half-a-million’ barrier when it shipped a 35,000m bundle of old braid, fluorocarbon and monofilament lines to the Anglers National Line Recycling Scheme to stop it being sent to landfill sites. Anthony Johnson, a director at Johnson Ross Tackle, said: “It’s fantastic to reach a milestone like this, but there is always more we can do. Like many other tackle shops we have our own line recycling bins in store and we encourage customers to bring their old line to us so we can dispose of it. “We also run a re-spooling service and have a drill that we use to take old line off a spool in no time at all. A lot of carp anglers use our service, and on average bring in 1,000 yards of old line (roughly three spools) – which is a lot of wastage. In 2018 the ANLRS collected a staggering 1.5 million metres of fishing line, with Johnson Ross Tackle contributing nearly one third of that amount. 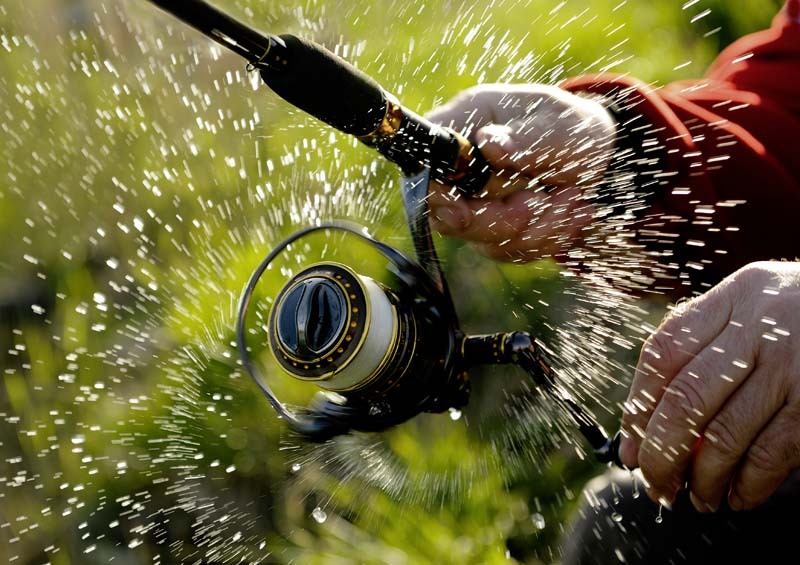 Hundreds more like-minded tackle shops across the UK are also joining the scheme. Despite launching only 10 months ago, the ANLRS has gone from strength to strength – but admits it needs more people to contribute to the cause. ANLRS official Viv Shears said: “The team at Johnson Ross have shown what is possible in terms of collecting anglers’ redundant fishing line – 500,000m in 10 months is fantastic, and with over 180 shops now signed up a bin is never too far away. “All you need to do is visit the ANLRS website and click on ‘Recycling Locations’. “The locator will find all shops that have signed up within 30 miles of you and they will happily take any old mono, braid and even fly lines for recycling. “If your local shop isn’t signed up, ask the staff why and point them in the direction of the website and the registration form! “Anglers can also post line direct to us at the address shown on the website,” added Viv.